I'm keeping this short and sweet, for what's there to write about yet another tomato sauce. Except I just had to make sure you know about this one - first spotted on Shaheen's blog - and a strong contender to replace my favorite pizza and pasta sauce. It's easy too. You plonk 5-6 tomatoes in a pot of boiling water for a minute, then put them in an ice bath. This should make the tomato skins easy to peel off and you can then cube them, minus the seeds. Also chop a small onion and peel & mince a couple of garlic cloves. Heat a tbsp of olive oil, add the onions and cook until translucent. Add the minced garlic, wait a few seconds then add the tomatoes and salt. Simmer for 10-15 minutes, mashing it a little as you go but leave your sauce chunky. Chop a handful of basil leaves and add to the sauce towards the end. I've so far used this to make lasagne, and I'm going to blend what remains to give me a smoother sauce for pizza tonight. When I first read the dish's name, I saw these three distinct components. And try as I could, they didn't work for me as one salad. Each one brilliant on its own, yet flavors too sharp and strong to mingle. A delightful plate of mezze though! To your left : petals off an artichoke heart. The artichokes came straight off a bottle. It was Jamie Oliver's artichokes in oil - I think I missed the "in oil" part when I bought it but it went against my ideas of the artichokes' flavor. So I washed the hearts in several changes of water, then left them to sizzle on a hot grill for a few seconds. In the middle : a tomato chopped into cubes, then marinated with a couple of finely sliced kafir lime leaves, a tsp of lemon juice, another tsp of olive oil and a pinch of sea salt. I have a guilty secret. Every saturday evening, I trek down to Bandra to buy Cinnamon Rolls at Theobroma. Soft, bready, filled with sugar and cinnamon and raisins, they are my gold standard of cinnamon rolls. 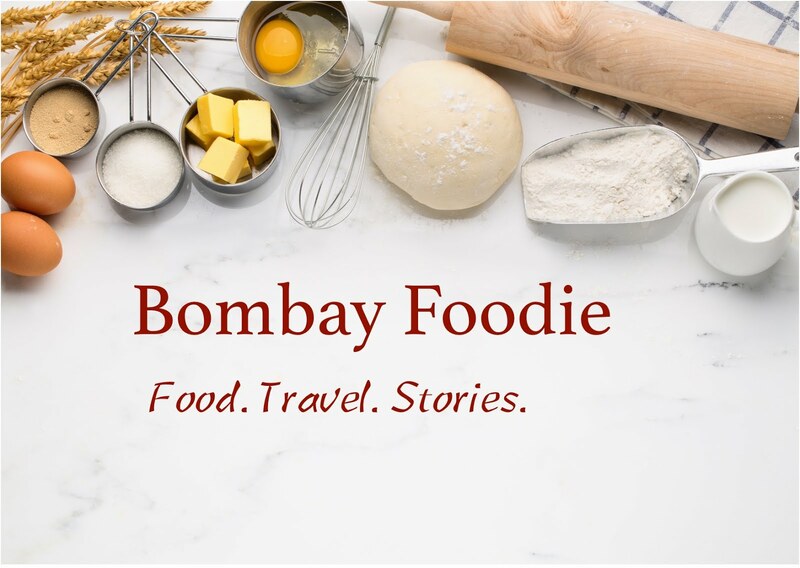 But the problem is that Bandra is an hour's drive away and most of the time, Theobroma has sold all it's cinnamon rolls by the time I get there. Then Cinnabon opened and I thought : great! these guys will never run out of cinnamon rolls. Except I tried it once and thought it was horrible - the center was cakey, and the frosting too thick and too sweet. Finally, I decided to make my own cinnamon rolls. I turned to pioneer woman, and found rolls so easy to make and so good I never need to go to Theobroma again. Pioneer Woman's recipe makes a lot of rolls, so I divided it by a 6th. I stuck pretty close to whatever she suggests apart from this one change. I've just barely managed to find ingredients for the next dish on the Indigo menu. And guess what, they have revamped their website and it now boasts an entirely different menu. With no mention of the artichoke and cherry tomato salad I was halfway in the process of making. Indigo does change it's menu frequently so I knew this was coming sometime. And I like the new menu better - it's even got a listing of their desserts. So the challenge is back on. This one has 27 vegetarian dishes and the speed at which I am going, collecting all those exotic ingredients Indigo dishes seem to require, it might be at least six months before we make them all. And who knows when Indigo changes the menu again. This month, our book club reads Garlic and Sapphires. The story of Ruth Reichl, back when she was the food critic for New York Times, is funny yet poignant and touching. With the power to make or break a restaurant, the likes of Ruth, Frank Bruni and of course the currently reigning Sam Sifton have to deploy every method to remain anonymous when they go visit a target. Ruth Reichl turned to elaborate makeup and disguises to make sure she got her readers an objective review. But her ability to get into the character also changed her, affecting her view of the world. The book offers a glimpse into the life of a food critic (and isn't that every foodie's dream) but it also takes you a little closer to understanding the very charming Ruth. Another great thing about the book; there's a recipe after every chapter, something to go with every new avatar Ruth takes on. From the array of recipes, I picked Risotto Primavera, an adaptation of lobster risotto from Le Cirque.